This vinyl skin will fit:IBM Lenovo Thinkpad T440P. Thinkpad, theThinkpad logo, andIBM are trademarks of Lenovo Corporation. This vinyl skin will fit:IBM Lenovo Thinkpad T520 W530. Thinkpad, theThinkpad logo, andIBM are trademarks of Lenovo Corporation. This vinyl skin will fit:Dell Latitude E6520 / E6530. Dell, theDELL logo, andLatitude are trademarks of Dell Inc. This vinyl skin will fit:Dell Latitude E5440. Dell, theDELL logo, andLatitude are trademarks of Dell Inc. This vinyl skin will fit:HP Elitebook 8560P. This vinyl skin will fit:Dell Latitude E6440. Dell, theDELL logo, andLatitude are trademarks of Dell Inc. This vinyl skin will fit:Dell Latitude E7440. Dell, theDELL logo, andLatitude are trademarks of Dell Inc.
LidStyles Standard Colors Laptop Skin Protector Decal HP ProBook 650 G1 15.6"
Compatible With Most of 12" ~ 15.6" Laptop, Need to Cut to Fit Your Laptop. Protect the laptop surface from scratches & smudges. 1 x for back side of the LCD screen. Size is: 380mm(15") x 270mm(10.6"). 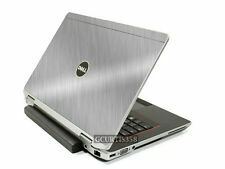 This vinyl skin will fit:Dell Inspiron 15 7537. Dell, theDELL logo, andInspiron are trademarks of Dell Inc.
Make sure your laptop is clean. Wipe it off with a soft cloth. The laptop should be free of dust, fat or grease - otherwise the laptop skin may not stick to your laptop as well as it's supposed to. This protect and gives you that unique style to help you stand out from the crowd! Thick clear protective vinyl overlay! NOTEBOOK NOT INCLUDED - DECAL WRAP ONLY. Enjoy your new decal! Waterproof and UV protected against fading - Outdoor durability up to 5 years. High Quality Vinyl Skin Sticker Decal ( QTY 1 ). High Quality Vinyl Skin Sticker w. High Resolution Printing. Fits Most 16.5"-18.5" Laptop. Sticker Size: 16.3" x 11.4" ( 415mm x 290mm ). High Quality Vinyl Skin Sticker Decal ( QTY 1 ). High Quality Vinyl Skin Sticker w. High Resolution Printing. 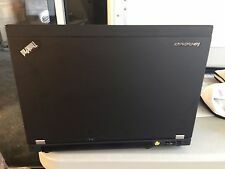 Fits Most 14"-16" Laptop. Sticker Size: 15" x 10.63" ( 380mm x 270mm ). This vinyl skin will fit:Dell Latitude E6540. Dell, theDELL logo, andLatitude are trademarks of Dell Inc. 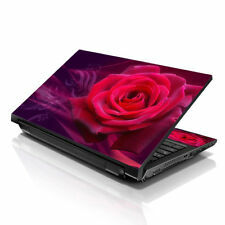 This vinyl skin will fit:Dell Latitude D620 and D630. Dell, theDELL logo, andLatitude are trademarks of Dell Inc. This vinyl skin will fit:Dell Latitude E7240. Dell, theDELL logo, andLatitude are trademarks of Dell Inc. 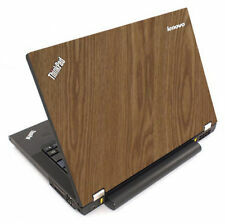 This vinyl skin will fit:IBM Lenovo Thinkpad X220 X230 NOTEBOOK VERSION. 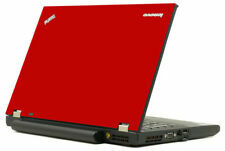 Thinkpad, theThinkpad logo, andIBM are trademarks of Lenovo Corporation. This vinyl skin will fit:HP Elitebook 9470M. This vinyl skin will fit:Dell Latitude E5420. Dell, theDELL logo, andLatitude are trademarks of Dell Inc. This vinyl skin will fit:Dell Latitude E5470. Dell, theDELL logo, andLatitude are trademarks of Dell Inc.
15.6" Laptop Sticker Skin. Universal Sticker Skin for Laptop. Compatible With Most of 12" ~ 15.5" Laptop, Need to Cut to Fit Your Laptop. Protect the laptop surface from scratches & smudges. 1 x for back side of the LCD screen.